Mortgage businesses have been focused on millennials in recent years, and with good reason. After graduating during a recession and a tight job market, many millennials have gained solid economic footing and are ready to enter the housing market. However, it’s not all about youth. Don’t forget about the baby boomer generation. Today’s seniors have a powerful combination of money, experience, and willingness to own homes. U.S. Census Bureau data shows that Americans age 65 and above consistently have the highest homeownership rate of any age group – fluctuating between 78% and 82% since the beginning of 2012. 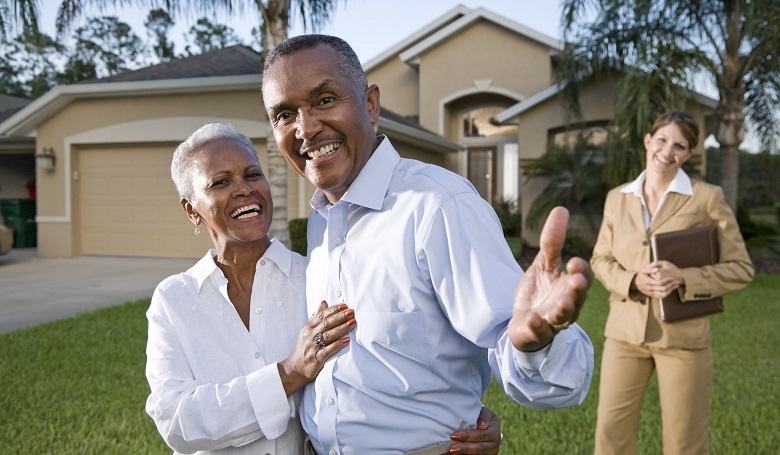 Many of these seniors will be engaging the housing market, either to downsize or to buy a second home or vacation home. How can you tap into the senior home buying market? Just as you would with any other market niche – understand their needs and fulfill them. Seniors who have been in their current homes for many years may not be aware of changes in the mortgage loan process. They may be surprised by today’s regulatory requirement, sophisticated credit scoring and risk analysis, and unusually low interest rates. A targeted ad campaign that explains these changes can help seniors be ready for the extra paperwork and increased scrutiny. On the other hand, they should also be introduced to the concept that advances in high tech and fintech should make the whole process easier than it was in the past. Perhaps email wasn’t utilized the last time they needed a mortgage! A growing number of seniors intend to “age in place” in their own home. Special features such as limited steps and accessible bathroom fixtures will become increasingly important. The Joint Center for Housing Studies (JCHS) predicts that by 2035, 17 million senior households will have at least one member with mobility disabilities. Stay up on the accessibility requirements of your local market and help seniors find homes that will fit their needs upon aging. If you handle home equity loans, investigate options for local seniors who want to modify their existing homes. Be a source of useful financial information to seniors, and loop those points around to the mortgage market. Give tips on how seniors can keep credit scores high and improve loan offers. Discuss the pros and cons of reverse mortgages. Mention tax ramifications of new homeownership. Discuss retirement income/assets and how withdrawal strategies may affect loan qualifications and payment strategy. Blogs are an excellent way to communicate the above points – and despite the stereotype, many seniors are computer-literate and enjoy social media and online shopping. However, don’t forget about seniors who are less computer-savvy. You may need to use old-school printed media to complement your online presence. Consider partnering with local senior centers to sponsor activities and introduce your offerings – and drop in a few nostalgic references along the way. Remember where the “boom” in baby boomers comes from. It’s a large generation that is often overlooked. JCHS researchers indicate that by the year 2035, one-third of U.S. heads of household will be at least 65 years old. Can your mortgage business afford to ignore such a large potential client base?